If you’re looking for an affordable mid-range smartphone, then Mi4 and Oneplus x is the best deal for you right now. Recently launched Oneplus x is the 3rd phone of a popular brand Oneplus. Oneplus gave up ‘flagship killer’ title and launched a phone which compete with mid-level smartphones. Oneplus X is a decent phone with powerful specs. It has a 5-inch Full HD display with 441ppi pixel density. The phone is powered by a Qualcomm’s Snapdragon 801 quad-core processor. It features 3GB of RAM and include 13MP rear and 8MP front camera. Oneplus x has almost similar Specifications as Xiaomi Mi4. First we have to compare different segments and then we moved to the detailed comparison table. Display and Looks: – In terms of display, both Oneplus x and mi4 have a 5-inch 1080p Full HD display (1080x1920p resolution), with Corning Gorilla Glass 3 protection. The most remarkable thing about Oneplus x is the way it looks. Oneplus x has a metal frame and glass/ceramic finish which make it look more premium than mi4 (which also has a metal frame but plastic back panel). If you’re seriously considering the OnePlus X, the design is probably one of the top reason. Processor: -Under the hood, both the OnePlus X and Xiaomi MI 4 are powered by Qualcomm’s Snapdragon 801 quad-core processor and paired with 3GB of RAM. Both have powerful Adreno 330 GPU which give you a better performance and gaming experience. OS: – Oneplus x has an OxygenOs (based on android 5.1.1) which looks just like stock android but with a more customizable option on other hand mi4 come with MIUI 6 (based on android 4.4). OnePlus X runs on OxygenOs which receives faster updates than Xiaomi Mi 4 running on MIUI. Memory: – Oneplus x come packed with a 16 GB internal memory and expandable up to 128 GB via microSD card, and 2 GB RAM, while Xioami mi4 has 2 variants one is 16 GB and another one with 64 GB but has no microSD card slot. Camera: – lots of people confused about which phone has a better camera because both phones come with same 13 MP back and 8 MP front cameras. But mi4 has better aperture F/1.8 with 13 MP on the back than OnePlus X which has 13 MP back camera with aperture F/2.2. Battery: – OnePlus X comes with a concerningly small 2525mAh battery as compared to Xioami mi4 which comes with the 3080mAh battery. Undoubtedly mi4 battery last longer than Oneplus x. Other things: – The most important factor that makes Oneplus x on top is it has dual sim (Nano sim) support but here is a deal either you can use two Nano-SIM cards or a Nano-SIM and a microSD cards. While mi4 comes with single sim (Micro sim) and Oneplus x is also 4G ready. You really going to miss 4G and storage limitation on mi4. And lastly, the most important thing is the price of the phones, Oneplus x comes with a price tag of Rs. 16999/- while mi4 comes with Rs. 14999/- for 16GB variant. 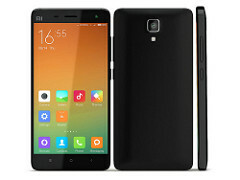 Conclusion: – It is hard to say which one is better but if battery backup and camera is a real deal breaker for you and you live with single sim and without 4G than Mi4 is the right choice for you but if you want a premium looking phone with dual sim, 4G ready and continuous latest android updates than Oneplus X is for you. So that’s all for now, let us know which one you choose in the comment section.